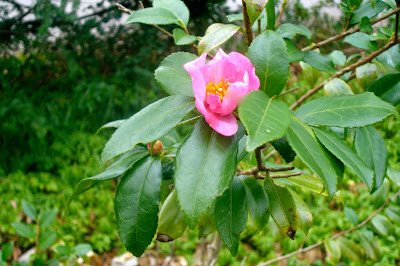 THE last flower in my garden this year is an early Fall blooming camellia that decided to put forth just one more bloom. Sometimes the last flower is a rose and I did have a few roses in early December. But a flower in late December is special. I try really hard to have something blooming all year but that period between the last chrysanthemums in late November and the first snow drops in early January is a challenge. Anybody out there whose garden has been graced by one last flower?